Sorry, I mean Princess Catherine. 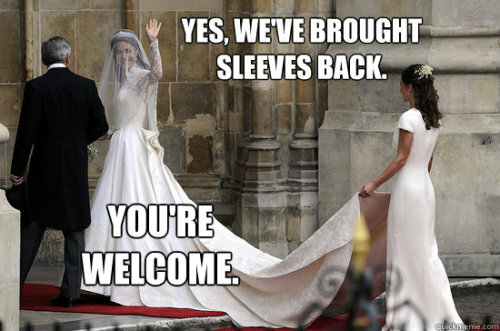 One more royal wedding gem that provides endless entertainment, located here. I’d be the first one. my own sweet tiara too. brothers. So the dream ends here. This hilarious and catchy gem comes courtesy of my MoHo friend Sarah, whose love for the royal family has reached an all-time peak on her blog. I’ve loved following along with her latest William & Kate (soon to be Catherine) updates and trivia. Thanks to her, I know that Kate’s face has been spotted on a jellybean, William does not plan to wear a wedding ring, and there are actually people out there who are more obsessed with this occasion than Sarah. For the record, we’re at 11 days and counting. I can’t wait to see what happens when Sarah actually gets to London! Watch out, England!